Every month we summarize our simulation cases. No deep dive here, just the top 5 takeaways from each case. This month includes severe traumatic brain injury and orbital compartment syndrome. 1. The emergency provider should be able to rule-in or rule-out life threats identified on a CT brain and act on them. The cranial computed tomograph (CT) has assumed a critical role in the practice of emergency medicine for the evaluation of traumatic intracranial emergencies. A number of published studies have revealed a deficiency in the ability of emergency physicians to interpret head CTs. 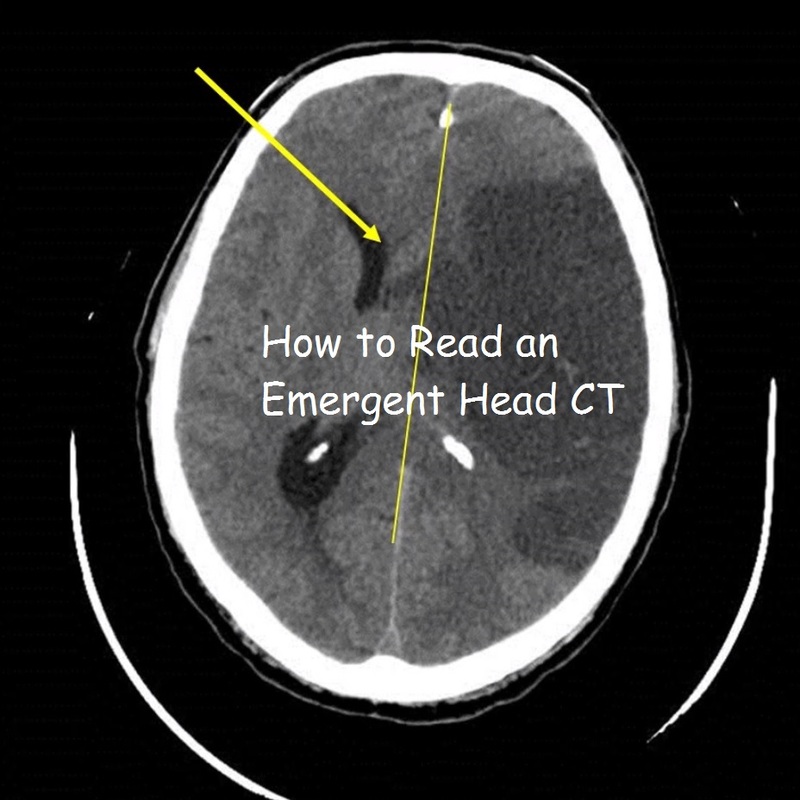 Nonetheless, in many situations the emergency physician must interpret and act upon head CTs initially without assistance from other specialists. A 2009 study showed only 50% of CT studies read by teleradiology were completed in 60 minutes. 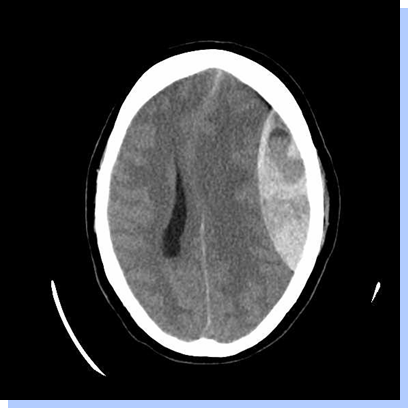 If you do not feel comfortable identifying life threatening head injuries on CT, check out our recent post on how to read an emergent head CT.
End - tidal carbon dioxide (ETCO2) should be used on all ventilated patients to target eucapnia. Hypoxia increases neuronal death and motor deficits, contributes to poor outcomes, and must be avoided at all costs. Cerebral autoregulation of cerebral blood flow is frequently either globally or regionally impaired in patients with TBI. Older publications defined hypotension as a SBP < 90 mm Hg, but a recent large retrospective data set demonstrated a SBP < 110 mm Hg on admission to the ED was associated with an increased mortality in patients with moderate or severe TBI. Significant morbidity and mortality occur when a patient experiences both hypoxia and hypotension, even when it is merely 1 brief instance of each. 3. Assume an elevated intracranial pressure (ICP) in severe TBI patients and take steps to reduce it. The Cushing triad of bradycardia, hypertension and irregular respirations is present in only one-third of the time ICP is elevated (16). Reducing ICP can improve cerebral perfusion pressure (CPP) and ultimately cerebral blood flow. 4. Identify and treat any coagulopathy. Give Kcentra (25 units/kg) to help with clot formation at the site of bleeding. NOTE: The strength of the evidence for these interventions is weak and limited. 5. If your patient has neurologic detioration, aggressively optimize CPP and institute additional ICP lowering therapies until your patient is able to get to a neurosurgeon. 2. Perron AD et al: A multicenter study to improve emergency medicine residents’ recognition of intracranial emergencies on computed tomography. Ann Emerg Med 1998;32:554-562. 3. Leavitt MA et al: Abbreviated educational session improves cranial computed tomography scan interpretations by emergency physicians. Ann Emerg Med 1997;30:616-621. 4. Alfaro DA et al: Accuracy of interpretation of cranial computed tomography in an emergency medicine residency program. Ann Emerg Med 1995;25:169-174. 5. Kreitzer N, Adeoye O. Intracerebral Hemorrhage in Anticoagulated Patients: Evidence-Based Emergency Department Management, Emergency Medicine Practice, December 2015, volume 17, No. 12. 6. Zammit, C, Knight, WA. Severe Traumatic Brain Injury in Adults: Emergency Medicine Practice, March 2013, volume 15, No. 3. 1. The presence of a retrobulbar hemorrhage and orbital compartment syndrome is an acute emergency requiring immediate care. Tearing of blood vessels within the orbit and retro-orbital area causes an acute increase in the volume of the orbital contents. This acute increase in pressure transmits to the globe, increasing intraocular pressure, decreasing ophthalmic perfusion and causing traction to the optic nerve. 2. Likely the most important factor in the outcome of orbital compartment syndrome is recognizing it as early as possible and treating promptly. The affected eye is typically proptotic with hemorrhagic swelling of the conjunctivae. Ophthalmoscopic evaluation reveals a blanched ophthalmic artery in the presence of obvious retrobulbar pressure and ecchymosis around the eye. The patient exhibits decreased visual acuity, and an afferent pupil defect is often seen. 3. Know your indications for a lateral canthotomy and cantholysis. 4. The goal of a lateral canthotomy is to release pressure on the globe, decrease IOP and allow retinal artery blood flow. Inject 1% to 2% lidocaine with epinephrine. Crush the lateral canthus with a small hemostat for 1 to 2 minutes to minimize bleeding. Place the scissors across the lateral canthus and incise the canthus full thickness. Find the superior and inferior crura of the lateral canthal tendon and release them from the orbital rim (this is typically identified via tactile feedback). Some operators prefer to release the inferior crus and reassess IOP before considering release of the superior crus. If done properly the lower lid should fall away from the lid margin. 2. Robers and Hedges' Clinical Procedures in Emergency Medicine. Chapter 62.